My family had enjoyed the pool area and the fire pits the most. The clubhouse has been a great place to host events without costing an arm and a leg. The maintenance men drive around the complex and smile and wave to you making you feel right at home. 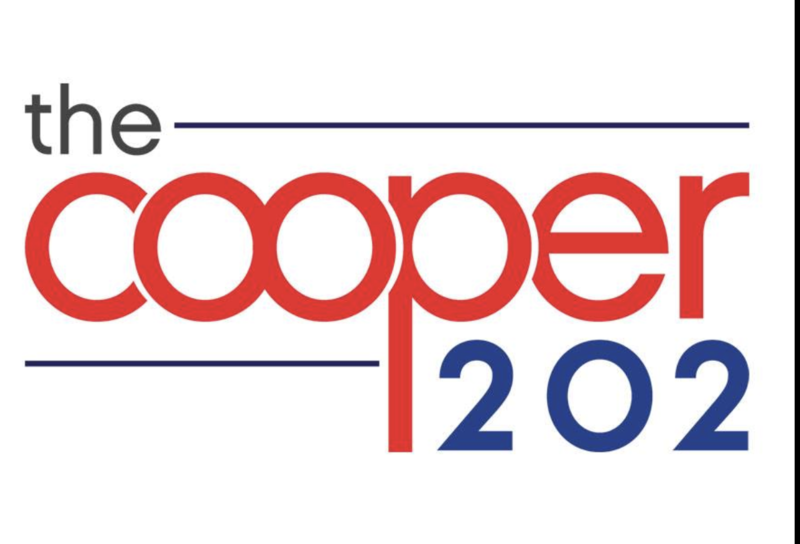 The Cooper 202 has nothing short of Great for my family and I. We Love the community as a whole because it is very diverse, calm and peaceful. Even the community appears to be laid back, the amenities that are offered at the Cooper 202 are completely outstanding two swimming pools, jacuzzi, a 24/7 gym, cabanas, and so much more to thrill your stay. I am completely mesmerized by the living space and would highly recommend The Cooper 202 because can somebody scream LOCATION,LOCATION,LOCATION!!! I mean the Cooper 202 is right off the 202 which is literally a prime location if there is one in the EAST VALLEY due to their being so much to offer with Food,Entertainment, High Quality Schools, Many Of Many Family Things that you can do and etc. Consider the 202 a place where you will Love every bit of your stay, I know we are and we are inching towards being at this property for a year now. It’s a newer and clean community which I love. The issue I can deal away with is the people above me who are continually blasting music and stopping from 3am- to well 3am!!! Always have loved living here with the best customer service with the staff in the office and the maintenance men that are always on top of keeping our place clean and fixed up! I have not moved in yet but the whole process of signing up was easy. Good clean work out areas and a cool spot to relax and play pool with your friends. Quiet for the most part. Grounds always look nice. Staff is very friendly and maintenance gets things done very quickly. Convenient to work and shopping. I love Cooper 202 it is locate in great area I have all I need in less than 5 mile drive. My community is beautiful. we have a great staff. Friendly neighbors. Nice complex! Great amenities and clean fresh apartments. Some items need more regular maintenance Live the fire pits, outdoor bbqs and TVs! I just moved in a month ago and I love it here. My apartment is amazing. The location near the freeway is super convenient & the amenities are awesome. This is the best place I have ever lived in throughout my adult life. The amenities are amazing! I love the clubhouse use for my family events and use the gym multiple times a week. I feel like this place keeps me young minded and very happy to be alive! Love the open space. Not too much brush. Lots of light everywhere! Especially apartment! Love the people, atmosphere, staff, maintenance, amenities. Could go all day! Since I found this location I loved it. The environment is great & the people are friendly. Can’t wait till summer to start enjoying the great pool we have available. Rachel was awesome from start to finish. She answered all of my questions and addressed my needs. World class service tailored to all my needs. living up the 202 has been great great office workers the young ladies have been very professional and very nice. the pool and the volleyball court of all these been kept well and the people that live there are great. I rate my living at the 202 Cooper 10 out of 10. I love and enjoy the amenities that 202 Cooper offer. Also, as a single woman that gets in late from work, I feel safe coming home. Also, the staff are approachable when I need to converse about a concern. I like to take evening walks around the complex in the evening and I feel safe. My view is wonderful, I can see the pool and the big screen tv from my balcony. I like that I can get on the 202 highway within minutes to get to work or take care of business. To me the 202 Cooper is wonderful place to live. Als, the apartments are beautiful, and us equipped with your own washer and dryer. It's the best. The Cooper 202 offers a nice apartment for a somewhat fair price. The problem is the floor plan and the people/staff that work here. The floor plan is so inconvenient you cannot for a real couch in the living room without it looking out of place. The people around here can be nice but our neighbors scream and yell and smoke really bad smelling weed. The valet trash staff is just rude and unprofessional. Some of the front desk staff is nice but some is not. As we arrived we did have to wait for about 10 minutes due to a tour being given out. But after that it was nothing but a great experience, very knowledgeable, the property was very well maintained and so was the apartment. The layout and amenities on site were great and a huge reason why we chose to lease. I've lived at cooper 202 for 11 months now and love it. The facilities and rooms are obviously new, but they are also well maintained, and the property is always clean. it's a great apt. Cooper 202 Staff is also friendly and attentive. Originally moved out of desperation. Stayed because I feel at home. Absolutely love it here. I’m safe and secure as well as comfortable. Stacy and Stephanie are more than wonderful in taking care of anything that I need. Cooper 202 has been nothing but a pleasurable experience! My friends love to come over just to check out my luxurious modern apartment. The staff is extremely helpful, kind, and all around great people! This is definitely where you want to move to!